My First Print-On-Demand Book Released! I am happy to announce that I have published and released our first print-on-demand book. It is the first major step to updating our publishing business model. The book is Jerry Hoganson’s “Making Money Through Mobile Home Investing”. The book turned out great. Dealing with the printer was relatively smooth considering this was my first go-around. 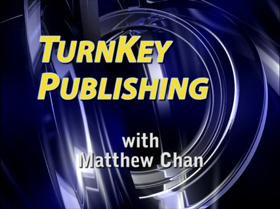 My second print-on-demand book will be “TurnKey Publishing”, the long-delayed book on my publishing system. The manuscript had to be updated and revised for the 6-month hiatus the project took. The book should be available for pre-sale around the Thanksgiving holidays. TurnKey Publishing: How to Create a Profitable Self-Publishing Business Without Any Help From Publishers, Bookstores, or Literary Agents! TurnKey Publisher’s Audio Publishing Handbook: How to Create & Self-Publish Profitable Audio Books & Audio Programs Without Any Help From Publishers or Recording Studios! © 2007-2016 Matthew S. Chan. All rights reserved.